This excerpt was from www.MichaelJohnson.com which sadly no longer exists. There were a lot of good articles. One of them involved wearing a special Nike speedsuit that measured his 400m splits at every 50 meter increments at the 2000 Prefontaine meet. His approach was using four “P”s: in the first 100m, “push” out of the blocks to near top speed, “pace” the 100m backstretch, “position” himself in the 3rd 100m curve, and “pray” the last 100m homestretch! His splits indicate slowing down on the 3rd 100m, and even more so on the last 100m, despite being mentally aware of trying to speed up! There was a nice graph and all the 50m splits related to that race which I didn’t copy, however, I did manage to keep his article. The start is still important even though it’s a 400 meters. 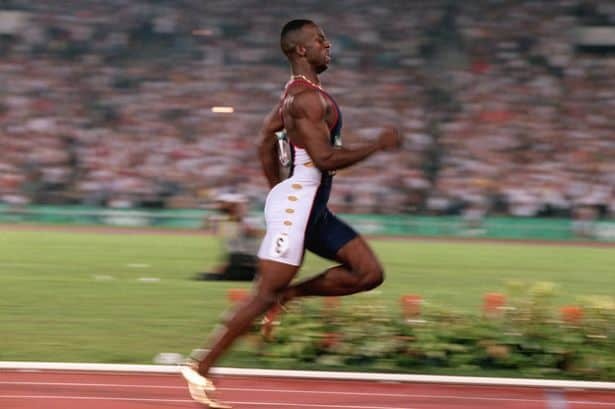 For me, being a 200m and 400-meter runner, it’s important that I don’t get in the same aggressive mode as I am in a 200. So I want to get a good reaction but then stay a lot smoother in the 400; basically, get a good start and establish a pace in the first 100 meters since this is the area where the pace of the entire race is really going to be started. Once I’ve gotten to the 100-meter mark, as I am right here, the pace is going to be what it’s going to be; otherwise, it’s going to hurt me in the race. If I haven’t run the first 100 meters fast enough, then I’m going to have to make up that time in this area: the second 100 meters. On the backstretch, the second 100 meters, I just basically try to relax after the pace has been established and not really try to make any moves. I try not to slow down or speed up or anything like that, but just relax for that 100 meters after the pace has been established. Then, try to get a good 200-meter split, somewhere around 21 seconds. Once I’ve reached 200 meters, right here, it will look like I’m starting to run faster, and that’s not actually the case. I’m actually just starting to put out more energy and starting to put more force into it, to try to maintain the pace that I’ve been running. It takes more energy to do that at this point because now we are 200 or 250 meters into the race, so that’s why it’s starting to look like I’m running faster. The objective, strategy-wise, during the third 100 meters along the curve is to establish myself as the leader of the race coming off the curve. Once I’ve established the lead, as I have here coming home, the objective is just to make sure that everything (arms and legs) is going straight up and down, keeping my head straight and not moving from side to side. I just focus in on the finish line and try to not do anything different, which is the difficult thing to do at this point because the body is starting to fatigue and it wants to do what it wants to do. I’ve got to work against it and kind of balance that with making sure that everything is just going straight up and down. The race itself is certainly intellectual. You’re always thinking about something every step of the way. For the 400, it’s even more so, because it’s so much more of a strategic race. The 400 is much harder to pace since nobody can go out and run 400 meters full-speed from the gun. So there’s a strategy and it’s all based on pace and energy output. And then you throw into that mix what your competitors are doing. I may feel like I’m running a good race, but I’m 10 meters behind, so maybe the internal clock isn’t working. So there’s a lot of strategy involved in the 400-meter race. I love that the fourth ‘p’ is ‘pray’! That’s so true isn’t it? It doesn’t matter what distance your event is, that last step is all about holding on to a hope and a prayer! Sanchez, you are so right, when you give 100%, it’s going to hurt on those last few steps! Otherwise, it isn’t 100%! @Vikas – start with this Blog and go through the archives. Tons of information here. All free. By the way, did you know at the 1960 Olympics, India’s Milkha Singh barely missed the bronze in 45.6 (45.73 FAT) which is still India’s National Record almost 50 years later! That will be a nice long term goal to shoot for. Love this web.. That four “P”‘s changed my way of looking at the 400m will definitely use it in the future thanx guys..
hi, jimson lee my 400m best timing is 54.oo , i’m still 15 year old . 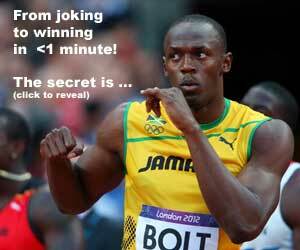 can u help me to improve my 400m time? i wan’t to be a world class athlete^^ i hope u can help me.